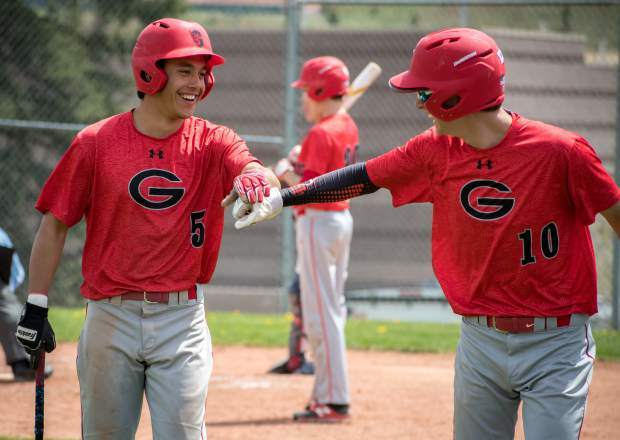 Glenwood Springs Demons Chano Gonzalez (5) and Dylan Lee (10) celebrate after scoring a couple of runs during Saturday's game against the Battle Mountain Huskies. Sophomore Sam Fitzwilliams has found a comfort zone in the Glenwood Springs Demons’ lineup this season. 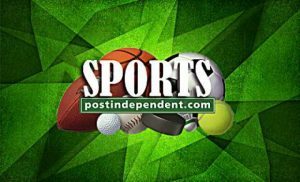 That comfort zone continued on Saturday afternoon, as Fitzwilliams drove in three runs in the Demons’ Game One 11-1 win, before then driving in four runs in the 11-0 Game Two win, hitting a two-run homerun in the bottom of the fourth inning to cap off a great weekend for the Glenwood baseball team. Aside from his combined seven runs batted in the two-game sweep of the Huskies, Fitzwilliams also locked down the Game Two win by striking out two hitters in the ninth inning in relief of junior Ryan Welsh. Glenwood jumped out to a 2-0 lead in Game One, scoring two runs in the bottom of the first, before then scoring two runs in the bottom of the fourth in support of sophomore starter Cole Houston, and senior reliever Tyler Boyd. 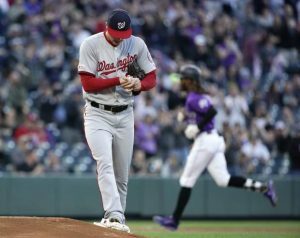 Prior to the bottom of the fourth inning, Houston shut down the Huskies on the mound, striking out nine hitters, walking one, and holding Battle Mountain hitless through 3 and two-thirds innings. Senior Davis Deaton, playing his final home games in West Glenwood, reached base in the bottom of the fourth after getting hit by a pitch. Sophomore Cole Houston followed with an RBI double to left center, scoring Deaton, before then moving up to third one pitch later on a passed ball. Junior Leo Anchondo then hit a slow tapper to third base that the Huskies defender threw wide of first base, allowing Houston to race home for the fourth run of the game. Holding a 4-0 lead, Boyd came on in relief of Houston and continued to cruise for Glenwood. The senior recorded two quick outs in the top of the fifth inning before allowing a double to Battle Mountain junior Chris Davis. Boyd didn’t allow Davis to come around to score though, as Boyd induced a lineout to first by the very next batter, ending the inning. Glenwood tacked on four more runs in the bottom of the fifth, as Fitzwilliams lined a two-run single to left, scoring Boyd and junior Chano Gonzalez, before an RBI groundout by Deaton, and an error by Battle Mountain gave the Demons an 8-0 lead late in the game. Battle Mountain scratched across a run in the top of the sixth, as junior Kevin Alvarado punched a seeing-eye single through the right side of the infield to drive in sophomore Spencer Goldberg, but a strikeout swinging by junior Cameron Wolfe stranded two runners on base for the Huskies. The Demons quickly ended the game in the bottom of the sixth, as Anchondo reached on an infield single to lead off the frame, before Boyd lined an RBI single to center, making it a 9-1 game. Following a popout by Lee, Gonzalez lined an RBI double down the leftfield line, driving in Boyd to make it 10-1 Glenwood, before Williams ended the game on an RBI ground-rule double to dead center, giving the Demons an 11- 1 win. In the Game One win, Fitzwilliams and Gonzalez led the Demons with three RBIs each, while Houston picked up the win on the mound. Game Two went much the same fashion that Game One went, as Glenwood jumped all over Battle Mountain early, taking a 1-0 lead as Boyd raced home on a passed ball after leading off the game with a double to left-center and stealing third base. Welsh took the mound for Game Two and matched Houston’s dominance, but was fortunate to get out of trouble in the bottom of the first inning. Wolfe ripped a triple to left-center. On the throw into third, Wolfe slid in safely, but the ball bounced away from Fitzwilliams. Seeing the ball bounce away, Wolfe tried for home, but Fitzwilliams fired to senior Jake Brown at the plate for the tag, keeping the Huskies off the board. Settling into the game, Welsh struck out the side in the third for Glenwood, which held onto a 1-0 lead. Building off of Welsh’s strong inning, the Demons caught fire offensively in the bottom of the third inning, plating seven runs to take a commanding 8-0 lead. 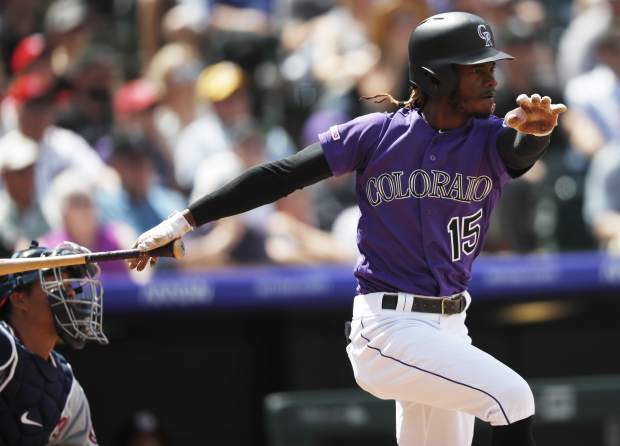 With the bases loaded, Lee and Gonzalez drew RBI walks to make it a 3-0 game, before Brown was hit by a pitch, pushing another run across to make it 4-0. Following a pitching change by Battle Mountain, Fitzwilliams jumped all over the Huskies’ relief, lining a two-run single to left to make it 6-0 Glenwood. 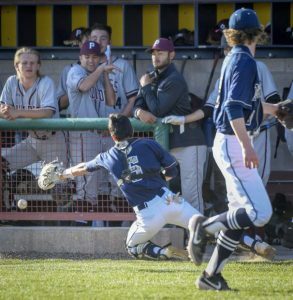 A sacrifice fly by junior Kai Kanzer made it 7-0, before Fitzwilliams raced home on an errant pickoff throw by Battle Mountain, making it an 8-0 game. Heading into the fourth inning with an 8-0 lead, Welsh retired the first batter before Battle Mountain junior Milton Garzon lined a triple down the leftfield line, putting just the second Huskies runner in scoring position in the game. Welsh then walked the next batter to put runners on first and third, before the junior buckled down and retired the next two batters on a popout and groundout, keeping the shutout intact. Needing just two more runs to finish off the sweep, Glenwood struck again as Gonzalez lined a single to left, sparking some two-out magic. Advancing to second on an errant pickoff throw, Gonzalez then scored on an RBI single to center from Brown, before Fitzwilliams stepped into the box and hit a towering two-run homerun to left, giving Glenwood an 11-0 lead. Fitzwilliams then finished off the win for Glenwood by striking out the first two batters of the top of the fifth inning, before then getting the final batter of the game to line out to short, giving Glenwood the sweep. With the sweep, Glenwood improves to 11-6 (8-2 4A WSL) on the season. The Demons have two games left on the season. Glenwood will host Summit Monday afternoon for a doubleheader.